If this was Week 17 of any of the last ten NFL seasons, this game would be one of the least interesting ones on the schedule. 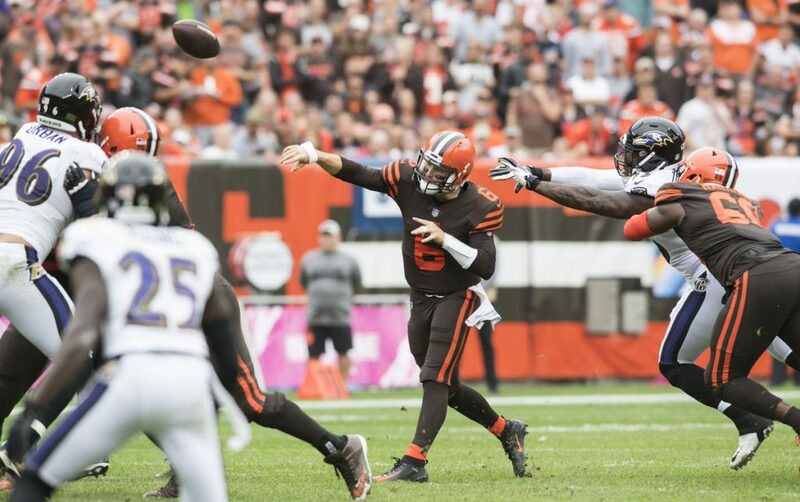 The Baltimore Ravens would be expected to bulldoze the Cleveland Browns and win without even trying—especially if winning meant becoming division champs. But this year is a little different than the last ten. The Browns are no longer the ‘same ole Browns.’ These guys are actually good. They enter Sunday’s game having won three in a row and in need of one more win to end the season with a winning record. They would love nothing more than to go out with a bang and prove times have changed. As for the Ravens, they would love to win their first division title since 2012 and return to the playoffs for the first time in three years. It is really hard to say who is the hotter team, the Browns or the Ravens. Both were just plodding along and looking like they were not going anywhere. But then both made a key change—the Ravens at quarterback and the Browns with their coaching staff (specifically at offensive coordinator). With Lamar Jackson at quarterback and the emergence of Gus Edwards, the Ravens developed an incredible rushing game late in the season. When combined with what was already a dominant offense, they became very hard to beat. Baker Mayfield was already well for a rookie before the change. But since the change at OC, he has been one of the better quarterbacks in the NFL. The knock on Jackson has been his perceived ability—or inability — to pass. However, he did a great job throwing the ball against a tough Chargers defense last week. But was that an aberration or will it be the new norm? Yes, the Browns have won five of seven since the mid-season coaching changes and Mayfield has looked like the guy he was in college. But the wins were all against lesser teams. The only playoff-bound teams the Browns faced (Houston and Kansas City) they lost to. Baltimore may not need to throw if they can get their run game on track against the Browns. Cleveland does not have a strong run defense. But the Browns will want to stop the run and make the Ravens throw. Is Baker Mayfield up to the challenge? Yes, he did well the first time the Browns played the Ravens, but the Ravens are playing much better now. This game is going to go one of two ways—the Ravens are going to destroy the Browns, or this is going to be an incredible game. Don’t bank on it being a bIow out. It is not going to have a ton of fireworks, but it will be a great, well-contested football game. As fun as it may be to think the Browns are going to win, look for the Ravens to come out ahead in the end. Their run game is working too well, and their defense is playing great. Mayfield will make some magic happen—but not enough. Take the Ravens to win straight up but don’t be shocked if the Browns cover the spread (-5.5). As for the over/under—the safe bet would be to take the under (40.5). But if Mayfield can work some of his magic, they will hit the over. So, how much do you believe in Baker?